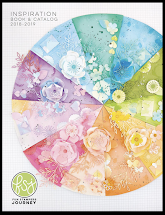 Welcome to the first day of the Spellbinders™ Paper Arts Holiday Hoppin’ Blog Hop! 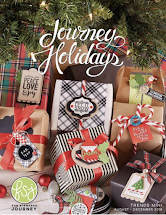 Spellbinders, along with Spellbinders Cross Promotional Partners are showcasing their newest products just in time for your Holiday crafting and gift giving. Lots of creative ideas are in store, as well as prizes galore! 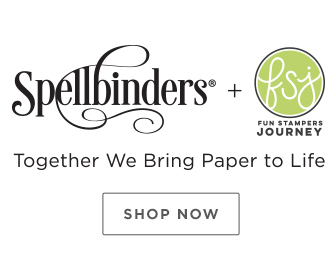 Each participating company has generously donated towards the prize package listed on the Spellbinders Blog. A total of two identical prize packages, one for each day, November 18 and 19 will be given away! To enter, just leave a comment on a participating blog! Comments in the first 48 hours of the post are eligible. One commenter each day will be randomly selected as the winner. Winners will be announced on November 22, on the Spellbinders Blog! I created the inside glittered petals of the Poinsettia flowers the same way I made the frame. 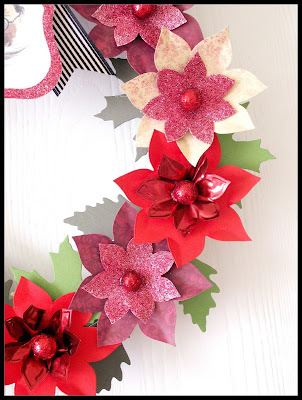 Simply cut each center flower out using the Poinsettia die template and Post-it Craft Paper. Peel off backing and dip in glitter. One winner will be chosen from all the comments on all the blogs participating today. Comments made in the first 48 hours of this post will be eligible to win. Winner’s names will be published on the Spellbinders Blog on November 22, and they will have 48 hours to reply to Spellbinders to claim the prizes. Thank you so much for stopping by today - I hope you enjoyed my project and video (eeeak). Be sure to see all of tomorrow’s Holiday Hoppin’ blogs for inspiring projects and another chance to win! Ohh such a gorgeous wreath! This is fun! What a great way to see so many wonderful projects. Beautiful!! I'm definitely going to give this a try. Thanks for sharing. So many ideas, so little time! :) Gorgeous projects! Your wreath is beyond beautiful! So far I love this hop! THis is beautiful!I love all the different papers used for the pionsetta. This wreath is lovely, and it's such a beautiful item to decorate any home for the holiday. Thanx for sharing this creative idea. Wow! I'm in AWE!! Love your projects and thanks for the tutorial! Wow! That is something really beautiful! I have to find some time to try and make something like that. Simply amazing! I love this! What a work of art! Your wreath is GORGEOUS!!!! Love it! WOW! very impressive, beautifully done. Thanks for sharing. OH Kazan....STUNNING!! Very beautify!! Thank you for sharing!! This is soooo cool!! You did an amazing job!! WOW! Martha is pretty inspirational sometimes!! So cool to see the three dimensional project; thanks for sharing! I love this! Might have to make my own version for our front door! What a fabulous wreath! Thank you for sharing. Great tutorial! Thanks for sharing. Beautiful wreath. Fabulous wreath, Kazan! Love the poinsettias and the wonderfully framed Santa! This is gorgeous, must have taken forever!! And thank you for the video. What a fabulous project. I'm glad I've got the poinsettia dies. I'm looking forward to trying this. Wow, I wasn't thinking about needing the grands until seeing this. What a great project and I love the name of your blog, by the way. I love love love love love love , LOVE ..did I say LOVE this ! So very much ! It is gorgeous ! Beautiful, thanks for sharing. Love it. How beautiful! You did a great job on your tutorial for your first time. gorgeous wreath!! Thanks for the inspiration! Absolutely gorgeous~ love, love, love this. Thanks so much for sharing your talent! 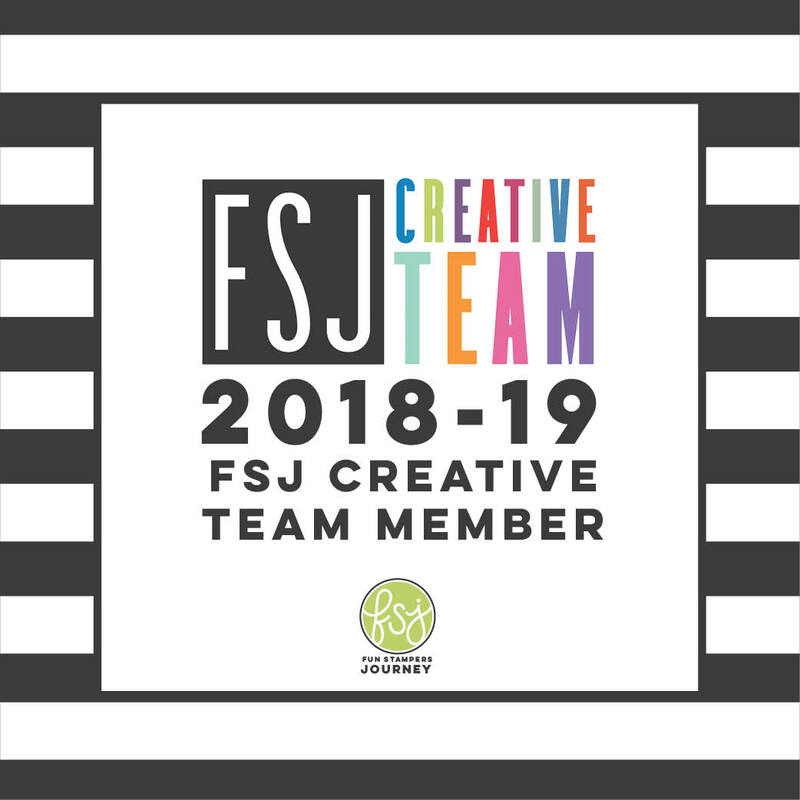 Love this project - would love to win! What a wonderfully unique idea - thanks for sharing! Wow - the flowers are just gorgeous on your wreath. I love this idea for the holidays! I sometimes forget just how versatile the spellbinders can be. 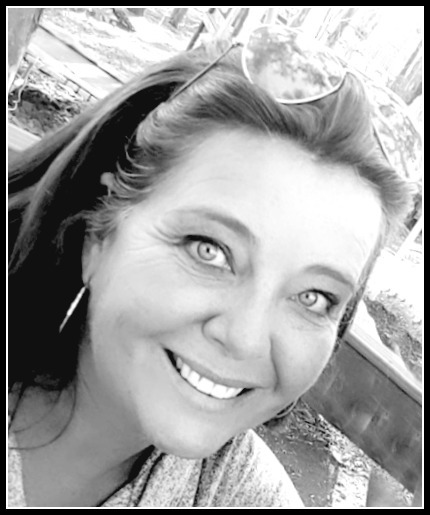 LOVE this product and how it can be used so easily with other products. Thanks for sharing your ideas. wow...stunning. I cant believe how beautiful this is. Thank you for the video. It was very informative. I really get more out of videos than I do from reading instructions. Gorgeous wreath! The flowers are beautiful and that tag is fantastic! Thanks for sharing, great idea....Happy Holidays!! This project just blows me away. So pretty and will look great on my front door. I love Spellbinders! Your wreath is beautiful and I love the Santa stamp you chose. Simply gorgeous! Thank you for sharing! Your tags is nice, but I REALLY like the flowers. This little wreath would make a cute party favor. What an absolutely gorgeous project. oh Kazan, kazan, Kazan....how absolutely fabulous is your wreath!!!! gorgeous! This is just so very stunning Kazan. Absolutley gorgeous! Love the video too! I love your wreath and especially the stamped santa. WOW, this is awesome! A gorgeous creation! Wow! I love the wreath! Thank you for sharing your awesome video too! WOW! Your Nestibilities really got a workout for this wreath. It's just lovely. Holy cow - this is just gorgeous! What an absolutely gorgeous wreath! Wow! absolutely stunning - what wonderful eye candy. Thank you so much for this inspiration. Love the poinsettia wreath. What a wonderful Christmas piece. This shows that I need to step up my die collection for more fun. Great wreath! I love all the papers you used!! Thank you for sharing. Gorgeous..ingenious ..love the colors--thanks for sharing. This s such a beautiful wreath Kazan! Love it. That wreath is just amazing. That wreath is beautiful! I love the little tag you made with Santa's face! Absolutely love these poinsettas! Thanks for sharing. I love the santa tag!!! Beautiful work! I love this wreath! Beautiful! I really enjoyed your video and learned so much. Thank you. This is amazing. Beautiful Project. Wowzer that wreath is so fabulous and the Santa tag is perfect! Gulp - this is amazing! What a wonderful project. I love it. Thank you. That wreath is realy pretty and I love the Santa image. The glitter technique is great. That is phenomenal! The amount of work that went into making that wreath is unbelievable. Beautiful. What a lovely job you did on your first video. Very clear instructions and easy to understand. And what an outstanding project. So very beautiful! Wow, love this wreath! Good Job, its beautiful! I will be putting your blog in my favorites! Love the video!! You did great for it being your first one!! I love love watching videos of people crafting!! This fun, festive wreath is sure to put a smile on any face. How great would this be to dress up a dreary little corner! Fabulous wreath. I love all the variations of color. WOW! WOW! WOW! So beautiful. Great instructions. Thanks for sharing the tip on Post-it Craft Paper and glitter....love it! What a great wreath! Love the video tutorial! Great job! Thanks so much for sharing today! Beautiful wreath!!!! Such a great idea. Great, wonderful, beautiful, gorgeous, and I love the Santa tag. wow, that wreath looks like alot of work. but it's great!!! All I can say is "WOW"! Simply gorgeous! I really like how you used the spellbinders in the wreath and how you incorporated so many different papers and products to make the wreath. It is beautiful. Fabulous!!!!!!!!!! I enjoy your creativity and LOVE Spellbinder's Nestabilities. Thanks. A lot of patience went into this project! 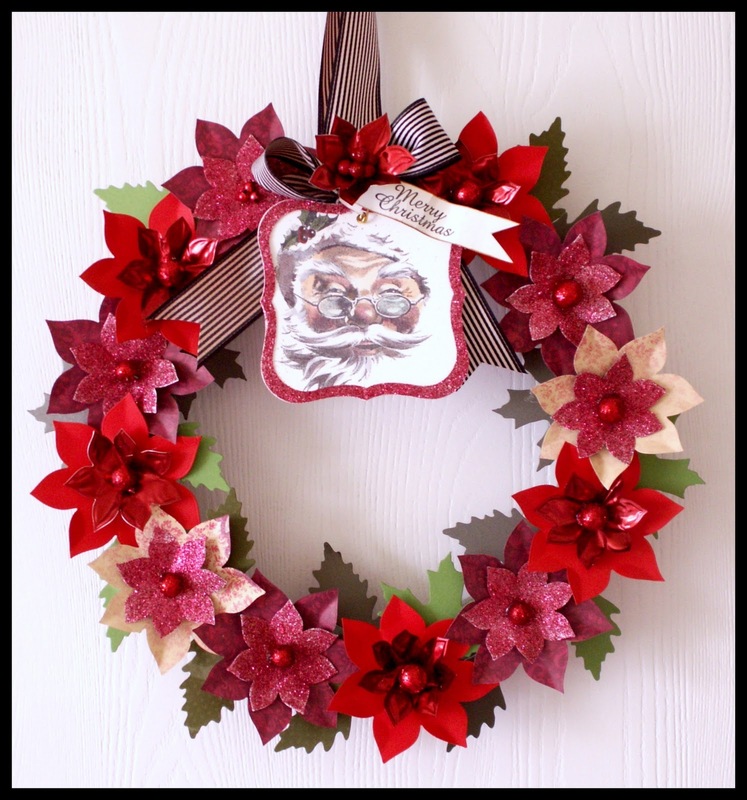 Beautiful poinsettias that make up the wreath - love all the patterned paper. 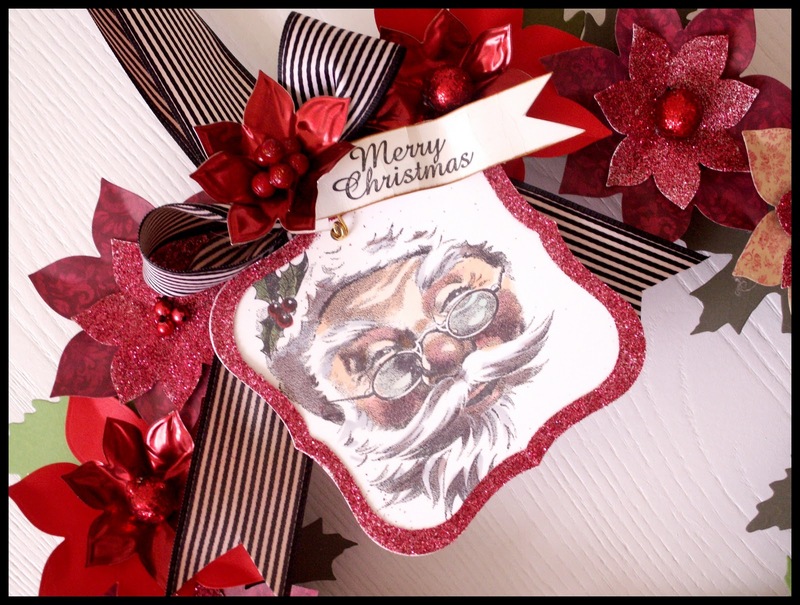 Such a beautiful job on your wreath, the multicolored papers and textures make it pop...and your santa image is adorable!! Love the glittered frame -- I've got the poinsettia die -- and now I can't wait to make the wreath! Gorgeous wreath!! I love it! Sounds, easy enough (ha)! Looks spectacular and I just love those huge dies. this is a great little project. Love the flowers. Very seasonal. Thanks for doing the video - and wow... what a beautiful wreath! OMG, Kazan, this is the most fabulous Christmas wreath I've seen! I love it! Looks like a lot of work, but the result is gorgeous. Lovely! I would love to have something like that on my door! Oh wow this is wonderful!!! It also uses one of the spellbinder dies I happen to have! oh I love your wreath. That is so pretty. Need to make one myself. Your wreath is absolutely gorgeous! Gorgeous wreath! Thanks for the tag tutorial as well! Oh that is such a beautiful Wreath I know what I am gonna ask Santa for this year! Thanks so much for a different use for the Spellbinders. What a gorgeous wreath! I really like how you used the nested poinsettias, and the post it craft paper- what a brilliant idea! I had been trying to figure out the purpose of that, and now I see so many possibilities! Thanks for sharing such a beautiful project! What a GORGEOUS wreath! I love this! Great project. I love the new grands.. how awesome are they. tfs. WOW, what a beautiful wreath. Don't have any grand dies yet, but I can see them coming soon. What a super project. I'm going to have a go at making one of these wreaths. What a gorgeous wreath! Good job on your first video tutorial! Love your accent! Great use of the 3M product!! Loved your wreath! The glitter makes all the difference... beautiful! Love the wreath. Thanks for sharing it with us. I loved your video, very informatiive. I can't wait until my new Grand Calibur arrives in the mail. 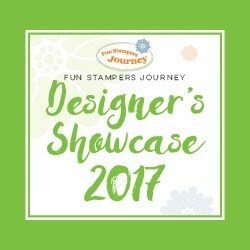 Love this blog hop, thanks for sharing your amazing talent, and thanks Spellbinders for the fabulous prizes. WOW!!! I will be back to see the tutorial. Love it! Wonderful, I really got inspired to make something like this! Very pretty! Love Spellbinder dies! You did great for your first video!! thanks. Well isn't that clever and beautiful too! Who wouldn't love to hand one of these in their home! What a beautiful wreath! It is really stunning. You are super talented!! Love the wreath. I am going to be very busy copying some of the ideas I have seen. Love the poinsetta wreath - beautiful! Oh that is gorgeous! Love all the glitter! Oh, I love this wreath - and what a cute Santa. An absolute treasure! Your first video was wonderful - you explain the process and demonstrate in a very engaging way. I learned a lot!! Beautiful wreath.. what a lovely welcome! Absolutely stunning wreath and such an easy tip for adding the glitter- thanks! WOW ... as jaw hits computer desk! What a beautiful wreath! Love your wreath, very pretty. Terrific holiday idea and a great way to use the Spellbinders dies1 Thanks for sharing! this is fantastic, thanks for the chance to win!!!! Wow, your wreath is beautiful! This is so beautiful ! Makes me want to get my craft on! :) TFS! OMG - How creative! You've inspired me! Thanks for sharing! Have a great day! What an incredible project! Thanks for sharing such a great holiday idea. You did great on your first video--I really enjoyed it. The wreath is fabulous--I really like the glittered poinsettias. Beautiful wreath! Loved learning about Post-it paper too...I was wondering how to use it LOL! I love this. How creative to use the sticky side for the glitter. I would have had glue and glitter everywhere. Thanks for the tip. Well, I didn't see Martha's but yours is beautiful! What a great idea and well executed! What a beautiful interpretation. Your wreath is fabulous.